Maude entered care in April, 2018. She was born in Liberia and lived there until she was almost a teen. 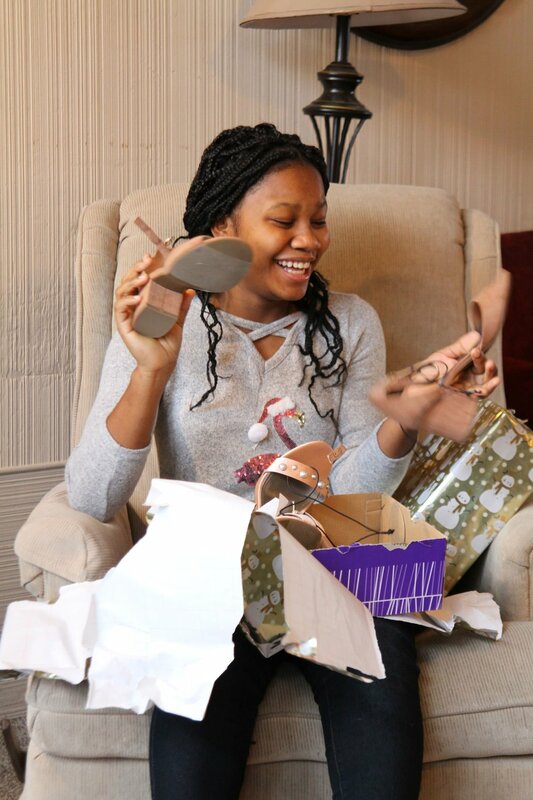 She moved around a lot while in Liberia—she lived with different family members and in boarding school. Maude endured unfair treatment at boarding school and other trials because she understood God was in control and had a specific plan for her life. She has a theological understanding that is beyond her years! Maude turned 15 while she was on winter home visit in December. To celebrate her birthday, her houseparents asked what she would like to eat. Maude said she wanted "ice cream cake" but for all their attempts, Bekah (Beals) could not find an ice cream cake that matched Maude's description. One day Maude proclaimed, "It is cheesecake!" Samuel and Bekah were delighted to identify her favorite dessert to make her party more special! Sometimes Maude struggles with the language barrier as she tries to explain what she is thinking. It is a joy to help her communicate more effectively. Maude takes school and homework very seriously and maintains good grades through her hard work. She is blessed to have a very dedicated tutor and wisely uses her time in sessions. She was recently recognized as “Student of the Month” at school! Maude opened a particularly beautifully wrapped gift when her eyes lit up and a huge smile broke out across her face. 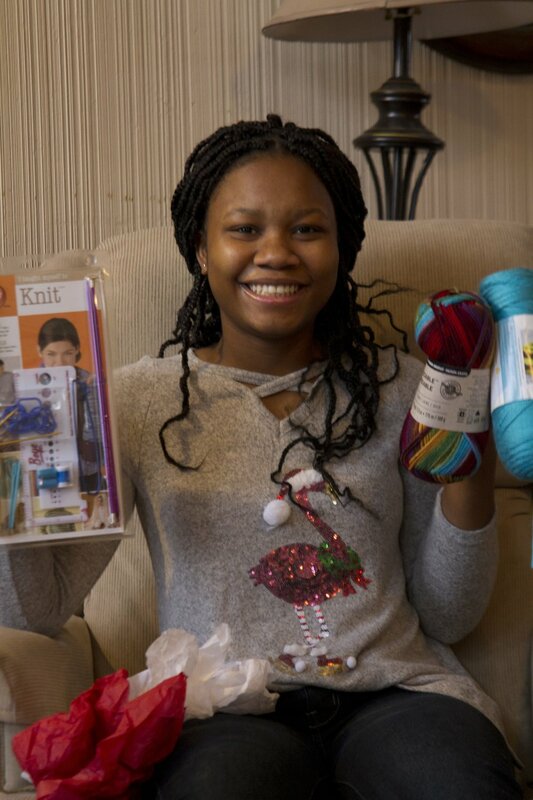 She received yarn and a crocheting kit. She excitedly told us she was SO looking forward to learning to crochet, and this was one item she most desperately wanted! Maude often asks her houseparents questions after school about how to encourage and meet the needs of fellow students. She and Bekah have a nightly prayer time that sometimes goes very long. Maude uses this prayer time to ask great questions and shares things that are going on in her life. Maude is best described as compassionate, thorough, a godly influence, and a talented singer. She loves God, is active in school, sings in the church youth worship team, helps out in Sunday school, and has many other interests. She is also very creative and artistic and can occasionally be found writing “thank you” and notes of encouragement. Maude also plans to learn to play the piano soon. Thank you for the change you have made in Maude’s life and for other children like her.